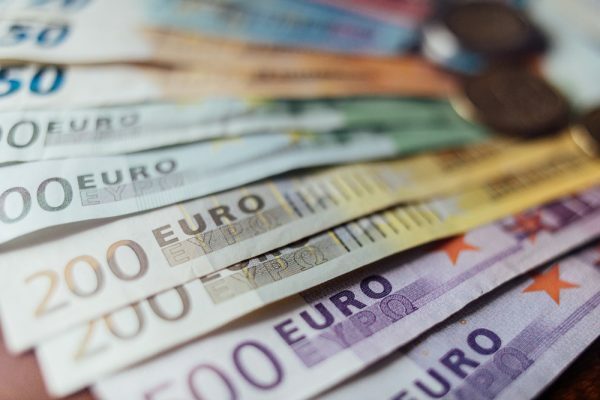 Euro held gains against the greenback before ECB interest rate announcement today, which is widely expected to remain unchanged amid tepid growth in the region and rising protectionism globally that led external environment to deteriorate. Current forward guidance suggests the central bank is likely to stick on its status quo until at least later part of 2019. Nonetheless, ECB chair Draghi’s press conference will be under the spotlight today for clues of any policy loosening to support the economy. Eurozone’s consumer confidence dived further into the negative territory of -7.9 in January, from -6.2 in December 2018, signalling further deteriorating in consumer spending. As a result, inflation in the Eurozone is likely to be contained, and central banks will have little incentive to raise interest rates anytime soon. Technically, EUR/USD has hit the bottom of an ascending channel and since rebounded. Its immediate support and resistance level could be found at around 1.135 and 1.144 respectively. Equally important today in the calendar are a string of flash PMIs from Japan, France, Germany and the Eurozone, which are forecasted to continue their downward trajectory as global economy has likely entered a synchronised slowdown. Trade and political uncertainties weighed on investment sentiment and business capex, leading the manufacturing PMIs to head into contractor territory in China, Japan and France. The Eurozone manufacturing PMI reading has fallen at a faster-than-expected pace for the past 12 months, from peak of 60.6 to latest reading of 51.4. Brent crude oil prices consolidated for a second day to US$61.0 area, and traders are waiting for the DoE weekly petroleum status report for clues of further reversion in the supply-demand market. Consensus sees a further drop in US commercial inventory by 270,000 barrels this week, and a larger-than-expected drop could help to lift Brent price. On the flip side, concerns over China’s energy demand as the economy cools continue to be a key limiter to the upside of oil prices. Technically, Brent is riding an upward trend since the start of this year, with several short-term pullbacks in between. Immediate support and resistance level could be found at US$58.3 and US$63.7 respectively.